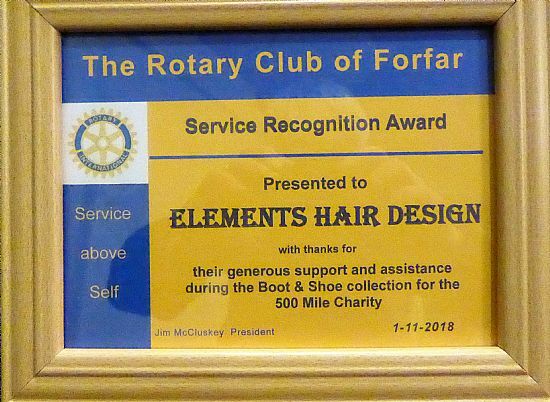 After the conclusion of the highly successful 500 Miles shoe collection Forfar Rotary found it fit to recognise the contribution (unpaid) to the three shops that provided collection points for the shoes. 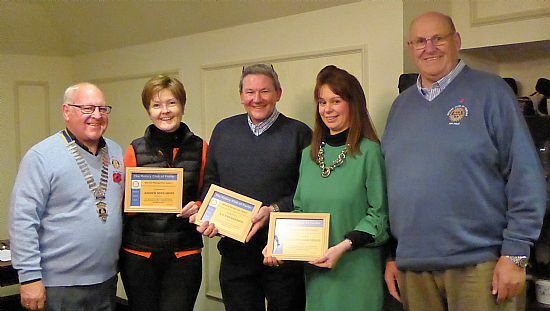 It was much appreciated and their help made the donations from the Forfar public more accessible than it would have been otherwise. Elements Hair Design Andrew Begg Shoes M+ S -Richardson Newsagents.